Known in the industry as the “Alpha Scientist,” Dr. Allen is in the forefront of scientific breakthroughs, including Nanotechnology, NanoMolecules, Quantum Chocolate, Genetic polymorphisms in Dysregulated Arginine Metabolism, Sickle Cell Polymorphisms, Thalassemia, Blind Amino Acid Riders, L-Arginine Isoform Pathways, and Edible Computer Chips. The medical and research community states that Dr. Allen's science and technology is "Twenty years ahead of everyone else." Known in the industry for her bold stance of setting high standards in scientific accuracy, Dr. Allen went so far as to correct Discover magazine, whose educational publication is considered the gold standard in science. Her statement on quaternary saturated amines prompted a correction by Discover. For over twenty years, Dr. Allen had warned of the dangers of using L-arginine without a Blind Amino Acid Rider. Her stance on L-arginine was validated in January 2006, when the Journal of the American Medical Association (JAMA) published the Johns Hopkins clinical trial on oral L-arginine, in which L-arginine was shown to cause death in a significant segment of the subjects, which prompted the close of the clinical trial. As a result of her long-term research on the amino acid L-arginine, the medical and scientific community refered to Dr. Allen as the Leader in L-Arginine Biochemistry, and the Queen of Arginine. As a tribute to Einstein, in 1983 Dr. Allen named her L-Arginine Isoform Pathway L-Arginine M². 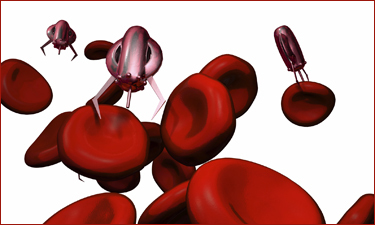 A group of top scientists, named “The Dream Team” have discovered the Key Code to a new treatment for Sickle Cell Disease and Thalassemia, the number one genetic disease in the world. Fellow researchers named the group The Dream Team due to their groundbreaking research and discoveries in the field of NutraGenomics. 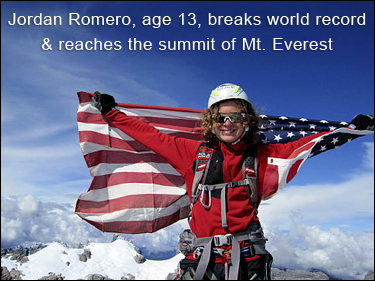 Glycemic Research Institute & Dr. Ann de Wees Allen Sponsor Jordan Romero on Mount Everest. The American Diabetes Association (July 2008) embraced the results of a huge clinical trial at Harvard School of Public Health, and the benefits of the glycemic index. In a study of more than 85,000 people over a 20-year period, the Glycemic Index was validated in preventing Type 2 diabetes and obesity. The number of overweight children aged 6-11 has more than doubled in the past 20 years. Current estimates show that 32 percent of U.S. children are overweight, while 16 percent are obese. Parents are struggling to control and prevent their children from becoming yet another statistic in the obesity/diabetes epidemic. Researchers are now predicting that one of every two children will develop Type 2 diabetes because of excess weight, which raises the probability that they will die as much as 20 years younger than their parents. 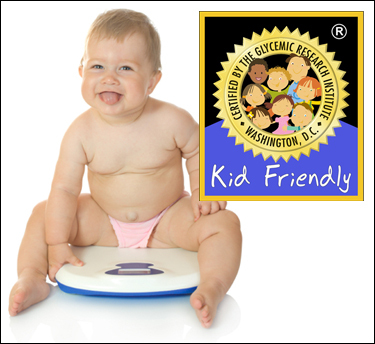 Children in the United States are completely surrounded by fattening foods and beverages. Even infant formulas contain added sugar, so from birth, children are ingesting ingredients that increase the size of fat cells and trigger fat cells to increase in number. The creation of an abundance of fat cells in children makes it almost impossible for that child to maintain normal weight or to lose weight as the child grows. By age 18, the stage has already been set for a child to be slim or obese. 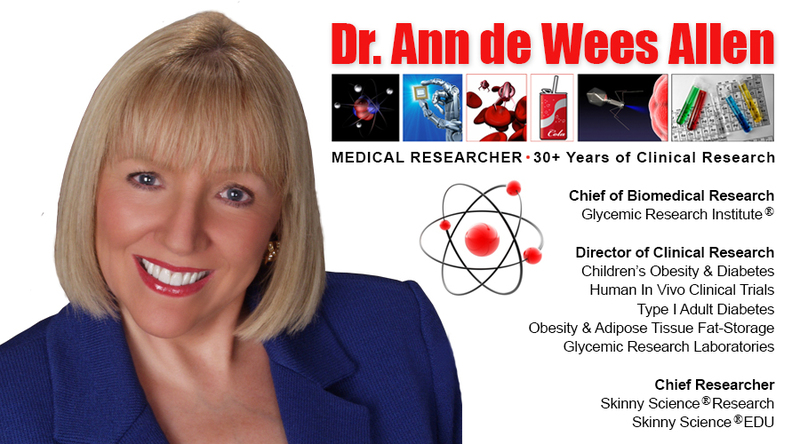 Researcher and Scientist, Dr. Ann de Wees Allen® has received a Patent on the World's First Fat-Burning Coffee. Dr. Allen started working on a new invention for a mechanism which switched any form of plain coffee to a Fat-Burning Coffee in 1983. She subsequently filed a patent on Fat-Burning Coffee, Fat-Burning Tea, Fat-Burning Water, and numerous other fat-burning products, and was issued a full U.S. patent. Dr. Allen's patent attorney is now the Director of the United States Patent & Trademark Office(USPTO.gov). Dr. Allen has licensed her Fat-Burning Coffee and Fat-Burning Tea to various companies since the 1980's, which has generated multi-millions of dollars in sales. Her Fat-Burning Coffee was named Breakthrough Product of the Year by Success Magazine and was featured on the cover of the Wall Street Journal for having generated over $$ 300 Million Dollars - and that was before her Fat-Burning Coffee really took off. Dr. Allen holds the exclusive manufacturing rights to her Proprietary coffee and tea compound which is the key to making safe and effective Fat-Burning products, as well as legal claims on Fat-Burning Coffee or Tea. Proprietary Trade Secrets, unlike patents, trademarks and copyrights, are defined and governed by individual state law and are recognized in every U.S. state. This allows inventors, like Dr. Allen, to defend and protect their Proprietary Trade Secrets. Dr. Allen's Proprietary Trade Secrets, related to Fat-Burning Coffee, have never been revealed, thus assuring that the original and authentic Fat-Burning Coffee remains a Proprietary Trade Secret. UPDATE: Dr. Allen continues to successfully license her Fat-Burning technology to the Nutraceutical industry, and is currently working on a new methodology in coffee research. She will have Board Approved Human In Vivo Clinical Trials completed featuring this new technology in 2014. Skinny Science ® is a branch of biomedical research that refers to weight management in humans, adipose tissue fat-storage, fat-storing mechanisms, Cephalic effect, thermogenic fat-burning, and Low Glycemic methodologies. Dr. Allen's Skinny Science ® Research Team has discovered the KEY CODE for fat-storage in the fat cell, identifying which foods store in human fat cells and which foods do not store in fat cells, and why diet sodas are more fattening than a bowl of sugar. Utilizing State-of-the-Art methodologies in Nutritional Genomics, foods, beverages, nutrients, and proteins can now be safely designed to encode transporters, receptors, carrier proteins, enzymes and hormones. For Nutrigenomic scientists, this means that they can begin to construct a picture of dietary interactions from the level of body composition and whole-body physiology, from substrate-flux through metabolic pathways, to the amount and activity of crucial enzymes, and on, down to the effects of gene expression. 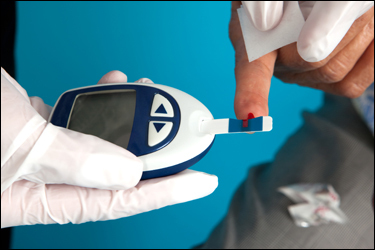 Glycemic Research Institute® has been conducting Human Clinical In Vivo Trials in the field of diabetes for the past 23 years. This picture represents Nanotechnology in diabetes research. In its neuroprotective role, the blood-brain-barrier (BBB) blocks agents from entering the brain. This protective mechanism has been in place since man first walked the earth. If this mechanism was not in place, the brain would self-destruct within a few weeks, as invaders, including natural sugars, foods, and amino acids, would cause a biochemical implosion capable of killing the host (the human body). Though Edible Computer Chips® sound like they may describe a futuristic robotic-chip that programs the human body to follow specific commands, that is not the case. Edible Computer Chip® are not synthetic, nor do they contain any non-food grade or unsafe ingredients. They are manufactured and produced from non-GMO ingredients, organic fruit and FDA acceptable food and beverage ingredients.